A cookie comes in several different textures, shapes, sizes, and flavors for almost every taste, with the awesome chocolate chip cookie recipe being the favorite by a mile. How to make chocolate chip cookies from scratch doesn’t require a lengthy list of costly ingredients or an entire afternoon to bake. You can bake a delightful batch of chewy, flavorful, and incredibly chocolaty cookies in less than 60-minutes, including the prep and baking time. Checklist all ingredients to make certain you have everything. Additionally, it can also ruin your cookies if some of the mixtures sit at room temperature too long while you get the missing items. Put all in large bowl; Mix all with the stand mixer at high speed until fluffy about 2 – 3 minutes. 5) Lightly beat 1 egg with a fork in a small bowl to check rotten egg or not? 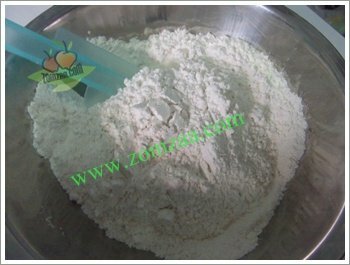 If good, pour only egg yolk into the KitchenAid Professional 600 bowl which contain butter mixture, repeat until completed / no remaining eggs. 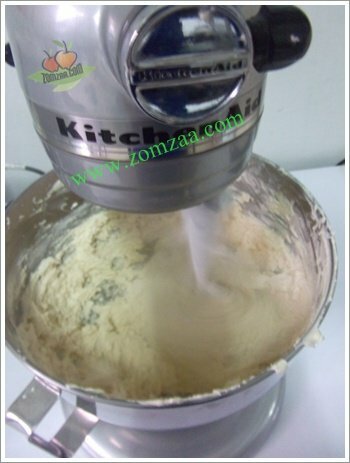 Beating with mixer until creamy about 1 – 2 minutes. 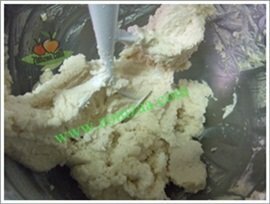 6) Scrape down the bowl using a rubber spatula and reduce speed to low and beat for a few seconds until blended. 7) Stir with dry ingredients, e.g. chocolate chips, nuts; reduce speed to low, then add chocolate chips and nuts. 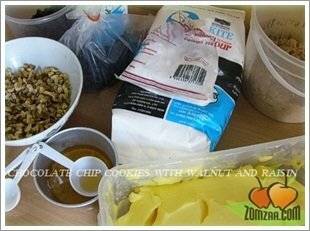 Don’t to forget to keep a few of chocolate chips and nuts for topping cookies later. 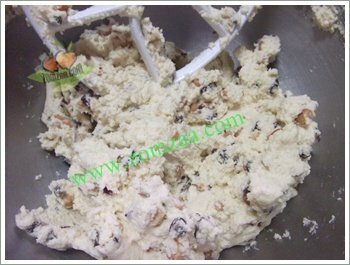 8) Scoop 1/4 cup batter for each cookie, arranging mounds 2 inches apart, on 2 baking tray. Flatten mounds into 2-inch rounds using moistened palm in your hand. Form remaining cookies on additional sheets of parchment paper. From picture; I don’t have the baking sheets, so imagination about it ! 9) Bake only 1 tray at a time, until golden or until lightly browned about 8 – 10 minutes. 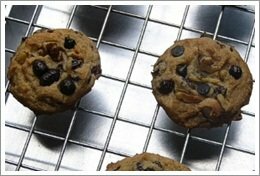 * Find more about the chocolate chip cookie tips and tricks for good taste and shape ! 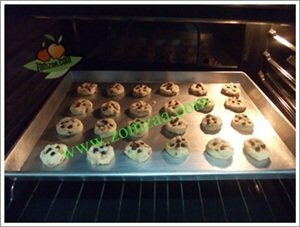 10) Cool Slightly; Move the cookies to a cooling rack to cool and continue making cookies in same manner. 11) Cool completely, put into an airtight box. 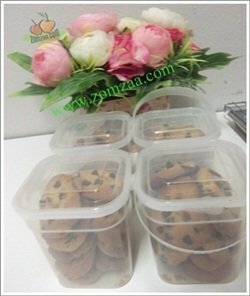 Tricks : Keep the chocolate chip cookies in an airtight container and it is good up to 3 days in the refrigerator. 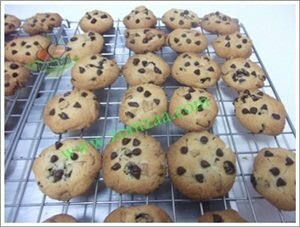 Chocolate chip cookie recipe are most famous kind of cookies recipe. Everyone has eaten one and most everyone loves them. You can find them in every supermarket and bakery shop you enter, and most every cook I know has a special recipe to make the perfect batch. Chocolate chip cookies are great because they are made with a few simple ingredients, most of which you stay the house always. For mom, making chocolate chip cookies is a perfect way to get children started working in a kitchen and learning to cook. All kids love to help mom with mixing and pouring the ingredients together, and there is nothing better to let kids experiment with than chocolate chip cookies. Kids can get involved and have a special job to do and they can see and taste the results of their hard work. 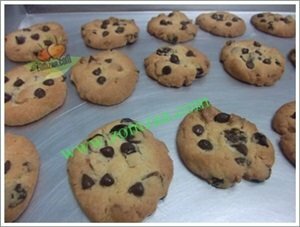 Baking chocolate chip cookies is a great family building activity that can fill any weekend afternoon with fun. 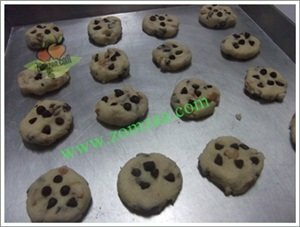 From pros, why we not try one of your mouth-watering soft and chewy homemade chocolate chip cookie recipe today.